Your Hometown Music Store Anywhere In The World! 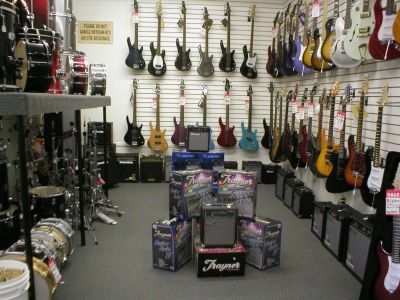 Now Dealing Takamine Guitars and Gretsch Drums! Lalo's Music specializes in unique musical instruments such as accordions, bajo sextos, and ethnic percussion instruments! We're located in the official birthplace of Tejano music, Alice, Texas, and now we're your home town music store anywhere in the world! Please have a look at our selection of accordions, bajo sextos, ethnic percussion instruments, guitars, drums, and instructional videos. If you're looking for something specific that's not on the site, please give us a call at 361-668-9564 or contact us here on our website and we will do our absolute best to make sure you are another satisfied customer! Lalo's Music is an authorized dealer for TAYE, Mapex, Tama, Gretsch, Blackswamp, Rockwood by Hohner, Gibraltar, Zildjian, Wuhan, Stagg, Sabian, EMG pickups, Guerrero Bajo Sextos, Oscar Schmidt, LP, Ibanez, Takamine, Behringer Audio, Sierra Guitars, and more! Come on by and see Lalo and the rest of the family! Like us on facebook for updates on discounts and promotions!! !